LOS ANGELES - June 22, 2018 - PRLog -- The United Premier Soccer League (UPSL) is excited to announce PSL United Soccer Club as a league member for the 2018 Fall Season. Based in Port St. Lucie (Fla.), PSL United SC will begin play in the Southeast Conference Florida South Division, and host its UPSL home games at South County Regional Stadium (560 NW University Blvd, Port Saint Lucie, FL 34986). United Premier Soccer League Florida Division Manager Christian Vallejos said, "Florida has been great for soccer and the UPSL, and we're pleased to welcome PSL United SC to the Florida South Division. It's great to see such a prominent and accomplished youth organization take steps to develop players into professionals, and we wish PSL United SC every success." 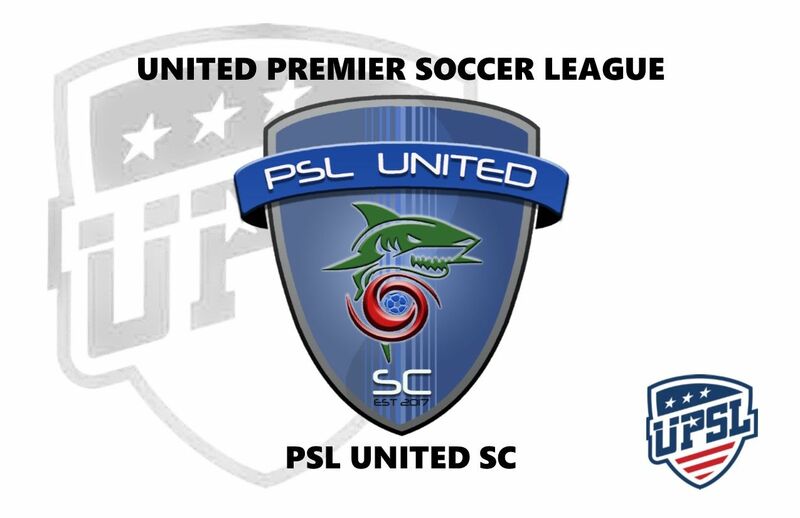 PSL United SC was created in 2017 by the operators of Mako Soccer Club, the premier youth recreational soccer club on Florida's Treasure Coast. Founded in 1991, Mako SC offers year-round recreational programs to more than 2,300 local boys and girls. Pete DiBernardo is President and Executive Director of the Board of Directors for PSL United SC. A native of Long Island (N.Y.), DiBernardo is holds a USSF 'D' Coaching License and several NSCAA Advanced Coaching certificates. He concurrently serves as President and Director of Club Development for Mako Soccer Club. PSL United SC President Pete DiBernardo said, "We're really trying to create a straight-forward development pyramid all the way from recreation up through, hopefully, successful adult teams. We want to dip our toe into the deep end with the UPSL. We believe in the UPSL's Promotion/Relegation Model, and we believe in developing serious players for the next level." PSL United SC Vice President Victor Nunes was instrumental in the club's decision to create a Pro Development program and join the UPSL. He currently is the head coach of PSL United SC's Under-18 boys team. Altimont "Freddie" Butler, 49, is the team's Head Coach. A native of Jamaica, Butler played professionally in Portugal and France before he was selected 18th overall by the San Jose Clash of Major League Soccer (MLS) in the league's inaugural player draft. He also earned 69 caps for the Jamaica Men's National Team and scored 12 goals. "(Butler) has seen it all, and he's been a real asset to our club," DiBernardo said. "His experiences around the world are priceless for our players, and he's excited about joining the UPSL and giving the players this opportunity." The team soon will announce its upcoming tryout and game schedule. PSL United SC is an American Soccer club currently based in Port St. Lucie, Fla., and a new member of the United Premier Soccer League. PSL United SC plays in the UPSL Pro Premier. Founded in 2017, PSL United SC can participate in the qualifying rounds for the Lamar Hunt U.S. Open Cup through their affiliation and membership with the UPSL, the U.S. Soccer Federation (USSF) and the United States Adult Soccer Association (USASA).